You are here: Home > Sony Xperia Z1S on its way to T-Mobile? A leaked image from the ever-prolific public informant, @evleaks, suggests that the smaller version of the Xperia Z1 will be landing on U.S. stores. The Sony Xperia Z1S may be smaller than the flagship, but its specs still pack a punch. Featuring a quad-core 2.2GHz processor, 2GB RAM, 16GB of storage, a 20.7 MP camera and a 2,300mAh battery. Most of these specs match the larger Z1, with the main difference being the 4.3″ display. It has a 720p panel with a pixel density of 343ppi. Sony’s will be hosting an event at CES a little later this evening. We’re not sure if they’ll announce the US availability of the Z1S at the event today, but we’ll update the post if it is. i thought this was already leaked same time around the launch of galaxy note 3? This is awesome! I love my z1 but the screen is just to wide for comfortable operation and swyping. This is def my next phone! waste of money to get a nice high end phone with a 720p screen. The article is wrong, the Z1s coming to t-mobile has a 5inch 1080p screen. They mixed this phone up with the other phone they announced right before it, the Z1 compact. The phone t-mobile is getting is essentially a modified version of the Z1. The modifications are actually for the better, as this version has more internal storage, and some pretty nice camera app features. even if this is true the Z in my option didn’t feel good in the hand. The screen on the Z also looks washed out. Hopefully they fix that. Also I know the Z had a lot of battery problems so hopefully they fix those. Well, this phone is essentially two versions removed from the Xperia Z. The edges are more rounded on the Z1 and Z1s, so its not quite as harsh feeling in the hand. I own a Z and have had any battery issues, in fact, it lasts longer than any phone I have had so far. As for the screen being washed out, its more about the limited viewing angles than the color reproduction. Hopefully this one comes sooner than the rumored Z1. Was waiting for that one, but couldn’t wait any longer and got a 5S instead. According to 9to5Google this is coming January 22nd and will run $528. The z1s is a 5 inch screen. Your specs are for the z1 compact which is not yet stated to come to the US. Also, the z1s has 32 gb internal storage and is 1080p. AND SD storage!! :) Oooops, missed your update, sorry! http://www.engadget.com/2014/01/06/sony-xperia-z1s-waterproof-flagship-t-mobile/ The facts are messed up here. The Z1 coming to T-mobile is still the 5″ screen version, not the 4.3″ one. Hey the more models we get on tmo the better. This thing is bigger than the G2, I might have to pass on this one. All the specs are on Sonys site. The Z1S is 5″. The Z1 Compact is the 4.3″ phone and we don’t know if it’s coming to T-Mobile or not. the article states “Most of these specs match the larger Z1, with the main difference being the 4.3″ display.”. So is TmoNews wrong or did they make a different version for T-Mobile? 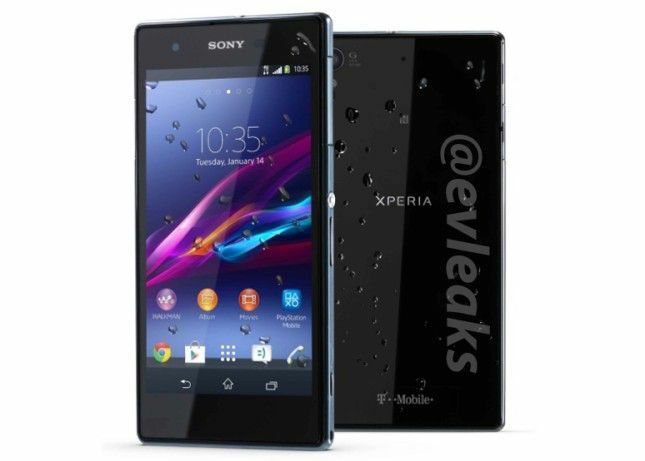 The article shows specs for the Z1 Compact. The Z1s specs are almost equivalent to the original Z1 except the following – Still 5″ display but but slightly bigger (0.34 inches thick by 5.74 inches tall and 2.91 inches wide) due to the 3,000 mAh battery and 32gb of storage. That’s a deal breaker. I’m so sick of all the good android phones having huge screens. I have a tablet and a laptop. I’d like my phone to be the most portable of them all and be as comfortable with one handed operation as it is with two handed operation. As an avid iPhone user, I can say I’d like something a little larger than 4″, and coming from using 4.3″ phones in the past, I’d say that’s the sweet spot. For any tasks needing a larger display, or even just if i desire it, I’ll use my iPad. I was thinking that T-Mobile had more than enough selection of huge phones for those people that wanted it, but I suppose I was wrong.